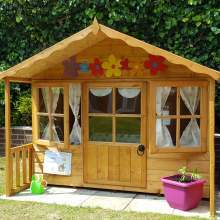 Get Low Prices on Our Large Range of Quality Garden Sheds, Workshops, Summerhouses, Bike Sheds, Log Cabins and Playhouses. 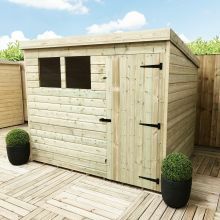 As the leading online Garden Building retailer in the UK - We sell a large range of Garden Buildings, Wooden Sheds, Metal Sheds, Plastic Sheds, Apex or Pent, Pressure Treated Sheds, Corner Sheds, Bike Sheds, Big Sheds......you could say we are a bit sheds obsessed! We have a degree in timber so that’s why we sell Summerhouses, Log Cabins, Arbours & Arches, Gazebos, Wheelie Bin Stores, Logs Stores and Storage Units for Mobility Scooters. 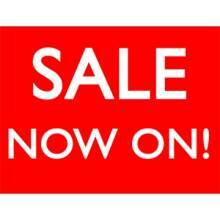 In addition to this we stock a wide range of Lawn Mowers and Garden Machinery to go into your shed. 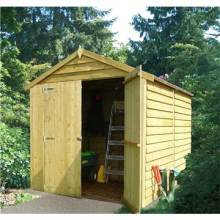 Wooden and Metal sheds come in two main styles Apex or Pent. Apex Sheds (V-Shaped style reversed) are where the roof slopes downwards from the Ridge (highest point of the shed) to the Eaves (height of the wall sides) with a single ridge running along the depth of the shed is supported by shorter bearers. The Apex shed is the most popular selling shed and as a traditional shed provides a robust solution for all your storage solutions. Pent Sheds have a single sloping roof. The front height is normally higher than the back (some bike sheds have a higher back than front) with the roof sloping backwards. Please check each product page for back and front eaves height. These sheds are ideal for putting against walls or down the side of houses. The shape of the roof allows the rain to run off easily. When choosing you shed, first measure out the space you have and allow for the door opening on your shed and any overhang from the shed (i.e. allow some space away from walls/fencing). The Eaves height of the shed is the height of the side walls and the Ridge Height is the highest point of the apex of the roof of your shed (or highest point on a pent shed). Both measurements are detailed on each product page. The shed roof ridge height should be high enough to allow you to stand up comfortably. Please check the width of the door to make sure it is wide enough to accommodate any bulky items you may have. 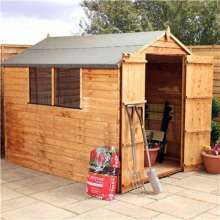 We recommend that your wooden shed is raised enough to allow air flow and prevent you shed from sitting on damp ground. We recommend building your shed on a firm base, preferably concrete or on paving slabs. Wooden decking can also be used. We also sell wooden portabases / building bases which are pressure treated and ideal for uneven surfaces. Metal sheds do not come with a floor and should be erected on a firm, level base, preferably concrete and we recommend using an anchor kit to secure your metal shed to the base. Ideally the foundation should be 10cm larger than the base of your building all the way around and if possible level of the edges of the foundation downwards so that the rainwater drains away from the building walls. During the summer months your shed can become warm so we recommend positioning your shed where it will get some shade during the day. We also recommend that you avoid overhanging trees and tall hedges to avoid damp and any falling branches during high winds. When building your base try to allow air flow underneath and position away from any patches where rain may collect during heavy rains. When building you shed allow enough room around the shed for you to treat the shed and enough room for the door to open. All our sheds are pre-treated with factory finish which should last your shed for 5-6 weeks before you need to treat it. 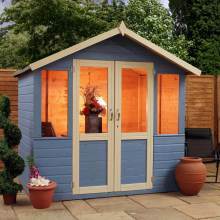 We do advise you treat your shed though as soon as you have built it. Waney Edge – This is our value range shed and is constructed from feather edge overlap boards (similar to that used in fencing) giving an overall rustic feel. Overlap – The feather edge boards are constructed from substantial 27mm x 32mm frame which allows the water to simply run off the building avoiding water entering the building. Shiplap – The Tongue & Groove interlocking boards provide a sturdier and stronger shed. The Tongue & Groove construction is a traditional type of cladding designed to give a smoother enhanced finish whilst making the shed more resistant to the weather. Log Lap – Log lap sheds are constructed from tongue and groove logs which have interlocking timbers at each end. Most log lap buildings require you to build you building log by log (where as for overlap and shiplap the walls are supplied as side panels already constructed). Most log lap buildings are manufactured with a thicker wall thickness, 19mm up to 45mm providing a stronger and secure building structure. Our sheds are supplied standard with either an OSB Floor, Orientated Strand Board which is a timber that has been stripped and compacted with resin – this is a reliable and durable material which qualities are well recognised in the construction industry. Or Tongue & Groove floor, providing a stronger and sturdier floor solution. We would recommend when storing heavier items that you look for a Tongue & Groove floor. Metal sheds are not supplied with a floor and should be built on a level base preferably concrete. We do sell a range of wooden sheds without floor and recommend you read our pdf info sheet on each product page regarding building your ideal base for sheds supplied without a floor. Our shed doors are constructed from tongue and groove to provide a sturdy door which can withstand wear and tear. Door fixings vary for each product and we ask you check each product page to whether the shed has a button lock, hasp and padlock or key and lock. All door fixings are galvanised to withstand the weather. Our sheds are supplied standard with either an OSB Floor, Orientated Strand Board which is a timber that has been stripped and compacted with resin – this is a reliable and durable material which qualities are well recognised in the construction industry. Or Tongue & Groove roof, providing a stronger and sturdier roof solution, with a smoother aesthetic finish. Where a shed comes with windows it will be supplied with safety styrene glazing, which provides natural light to your shed. Metal sheds are constructed from 0.6mm galvanised steel which is fire resistant and when anchored to the manufacturer’s recommendations, the sheds are engineered to withstand tested wind speeds of 147klm - more than enough to withstand British weather. Metal sheds come with a five year guarantee against rust. The opening and sliding doors are lockable for extra security. Plastic sheds are waterproof and hard wearing and come with a floor. The lightweight plastic sheds are easy to move around and easy to construct. All parts are supplied and are lockable. Sheds do no usually require planning permission unless you live in a listed building or a conservation area. If in doubt we recommend you check with your local authority’s planning office. With an option of 48 Hour, Saturday, Pick-A-Day delivery on the majority of our buildings with a large selection of Apex and Pent Sheds of all sizes which won’t cost you and arm and a leg. Buy now online. Overlap is commonly used for garden buildings and fencing. Overlap sheds consist of feather edge boards which simply overlap one another, allowing rain water to run straight off of the building. The boards vary in thickness slightly, usually between 6mm and 10mm. 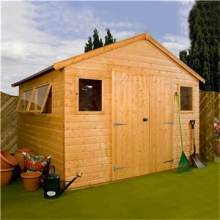 Our overlap sheds are the perfect solution if you are looking for a garden building with a low, competitive price tag. However, please don’t allow the prices to cloud your doubt regarding quality of the building. All of our buildings go through a quality controlled environment guaranteeing only the best cuts of wood are provided with each and every building kit supplied. To add to the strength of your building a 28mm x 28mm framework is included creating a practical, sturdy building for all those garden appliances that need safely storing away. 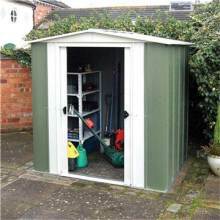 Not only are overlap sheds useful for storing garden appliances, they can be used to store household appliances or maybe an overflow of children’s toys. Sheds are a necessity for that much needed extra space and to have your belongings close to hand, rather than hidden away in the attic. Overlap sheds are available with or without windows, the choice being made purely on personal preference. Windows in the shed provide extra light into the building which is useful, especially if you are not thinking of adding electrical fittings. Having no windows in your building is perfect if your shed is going to be situated in an open space so that people can’t peek inside. Our Overlap buildings are also available with either a pent roof or and apex roof. Again, your choice is completely personal preference. The roof and floor included with the Overlap sheds are usually made from Oriented Strand Board, more commonly known as OSB. OSB is a popular form of wooden sheet board which is made up of strands and flakes of wood and adhesive which have been compressed together to make a suitable roof and floor for your building. To cover the roof, you will receive free felt to create a waterproof shelter for your building and personal belongings. With regards to your floor, we also include pressure treated wooden bearers which we advise are situated beneath the floor of your building to raise it off of the ground slightly. This allows air to circulate under the shed preventing the floor obtaining unwanted damp which could possibly lead to your shed floor rotting. Most of our Overlap sheds have been pre-treated which protects the building from the time it has been made to the time is has been delivered to its new home with you. 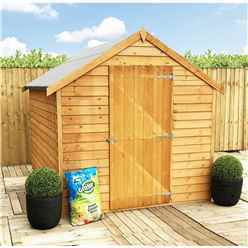 We strongly advise you treat the shed using a preservative of your choice once you have installed the building or whilst you are installing the building. We would advise the shed is treated at least once a year, every year. By doing so, you are protecting your wooden shed against those harsh winter months and keeping your building looking as good as new. Tongue and Groove is without a doubt the most popular choice of wood for a garden building. Each Tongue and Groove board interlocks with one another creating a smooth, neat finish. The thickness of Tongue and Groove boards for sheds can vary between 10mm – 12mm. 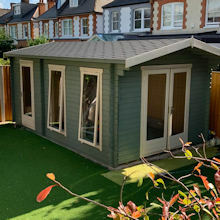 Our Tongue and Groove range of sheds and other garden buildings varies massively, so we know we will have the perfect garden building which will suit your needs. All of our Tongue and Groove sheds are delivered in pre made panels making the assembly of your shed much simpler and easier. However, if you are in doubt with regards to the installation of your building, we are able to offer an installation service on most items for an additional charge. Alternatively, if it is just some advice you need, our experienced, knowledgeable sales team are on hand to offer you help and advice over the phone or by email 5 days a week. For the majority of our Tongue and Groove range we include the roof and floor. 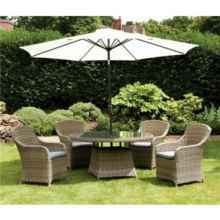 Some include an OSB floor which is a form of chip board, which is great for supporting your garden furniture and accessories. For other Tongue and Groove sheds, we include a Tongue and Groove roof and floor, which creates a completely solid, sturdy building which is just perfect for storing those extra heavy items such as large electrical items. Tongue and Groove sheds can be used for more than just storage, due to its interlocking boards, this creates more efficient insulation and security making this a building full of possibilities. By adding some electrical sources, you could make this into your ideal workshop. Or maybe you are lacking kitchen space and would like a tumble dryer to store for those rainy days when you can’t hang your washing out to dry. Due to our large range of Tongue and Groove sheds, some are available pressure treated or pre-treated. Pressure treated sheds don’t necessarily need to be treated again with preservative, however, you can if you wish, whether it be that you would like to change the colour of the building or you may just want to add some extra moisture to the wood after those hot summer months. Pre-treated sheds do need to be treated with preservative, ideally within 6 weeks of you receiving delivery and then at least once a year, every year to protect the natural wood from the cold and rainy winter months. Why not be adventurous with your colour choice to make your garden building the statement feature of your garden?! The Tongue and Grove sheds we have to offer are available in many different shapes and sizes so we are confident that your will find exactly what you are looking for. If we don’t seem to have what you are looking for, don’t feel disappointed. 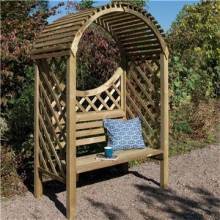 We can offer a bespoke service on many of our items so your garden building can be made exactly the way you require, especially for you. Apex is a popular style of roof used on many garden buildings. Apex is a pointed roof which can be one of two ways around. The most common being the tallest point is above the door/s and slopes down either side to meet the walls of the building. The alternative way would be that the roof slopes up towards the centre of the building and back down the other side to meet the back wall of the shed. Either way is dependent on your own personal choice. The decision is easiest made once you know where you intend to situate the shed. The main importance is to remember not to situate your building directly against another building or wall – in doing this, rain water can gather which adds constant moisture and weight to the building. Apex roofs are designed in a way that rain water will run straight off of the building. Due to its pointed roof, this option usually provides more head room and height to the shed which is perfect for adding extra shelving units – also saves you crouching down to move around your new shed! A pent roof for buildings are sometimes preferred due to its flat roof. 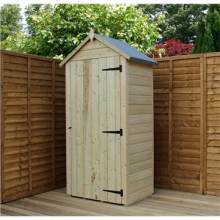 We have a large range of pent sheds which vary massively in sizes, from a small 2ft x 2ft shed to 14ft x 8ft. 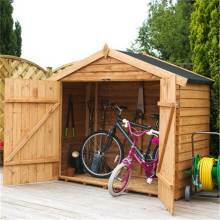 There are also many bike sheds and mower sheds available with a pent roof which have proved extremely popular. Also, after many enquiries, we are now also pleased to be able to offer a range of mobility scooter sheds which have a pent roof, but do not include a floor for easy access. The options for the direction of the roof are also available – whether you require the roof to run from front to back, back to front, left to right or right to left. The pent roof option is perfect if you have a limited amount of space. The pent shed will certainly maximise the space you have. All of our wooden sheds include free felt to ensure the most important part of your shed is kept protected and dry. As we all know, wood is a natural, living material. For this reason, no piece of wood is ever exactly the same. Wood can obtain moisture and lose moisture, which is why we need to take care of our wooden garden buildings. Especially when the British weather is as inconsistent as it is. From our large range of wooden garden buildings, there are two different treatment options. Most of our items are supplied Pre-Treated, this process is carried out once the shed has been manufactured. Once all the panels are complete, the panels will then be dipped into a large tank of pre-treatment, which is a water based anti-fungal preservative. The panels will then be stacked to dry and then sold and shipped out to you. This pre-treatment is to protect the building from the time it has been made, to the time it has been delivered to you. We would then strongly recommend you treat your shed with an oil based preservative once you have built your shed, or as you go along – the choice is yours. We would then recommend you carry this procedure out at least once a year, if not twice a year. This will put the moisture back into the wood from the hot, dry summer months (if we are lucky enough to get them!) and to then protect them against those harsh winter months were all so used to. By following this simple procedure, we offer a 10 year anti-rot warranty. We also have a large range of Pressure Treated buildings which go through a much more intense treatment process compared to the pre-treated sheds. The pressure treatment process consists of forcing a chemical solution into the timber under a great amount of pressure. The majority of the solution is then vacuumed back out of the timber. Pressure Treated sheds are a long term protection against fungal decay and insect and termite attack. The colour in which these buildings are supplied, due to the pressure treatment is initially a slight shade of green in colour which will mellow after some time to a warm honey brown. Over a longer amount of time, the colour may fade to a shade of grey. If you would like to treat the shed to alter the colour, you will need to use water repellent products. We offer a 10 anti-rot warranty on this range of products. We recommend all garden buildings are situated on a solid, level, preferably a concreted or paved area. The desired area should also measure slightly larger than your garden building. If you don’t have a concreted or paved area, we do have other additional options available. Such as, an Ecobase which is a lightweight and eco-friendly alternative to concrete or paving stones. The Ecobase consists of recycled plastic grids which are placed onto the plastic membrane which is included, in the desired area, the grids are laid on top and secured together by the EcoPins, which are also supplied. Once you have completed the layout of the Ecobase grids, simply fill with pea gravel. Your Ecobase is then ready to install your garden building on to. We also offer a Portabase as an additional extra for selected garden buildings which is a pressure treated timber base which includes a spike in each corner to sink and secure into the ground. It is important that you always use a spirit level when installing any kind of base to ensure the area is completely level. All of our wooden garden buildings include pressure treated timber bearers which run beneath the floor of the shed to raise the building off of the ground slightly to prevent the floor capturing water which can cause dampness and rotting of the floor and/or the building itself. When preparing your base, you should also consider the area in which you desire your garden building to be situated. We would not recommend your building be situated under or next to trees or large bushes. The reason for this being a large, consistent amount of water could cause damage to your shed. We recommend there is a 2foot clearance around your shed for this reason. This also leaves room for you to be able to move around the shed so you are able to add treatment/preservative to the shed it ease. We understand how frustrating and inconvenient waiting on deliveries can be. So with us you can be sure we will do our best to make sure your delivery is scheduled for a day which is good for you. 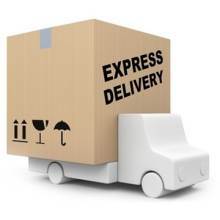 For many of our products we offer a delivery service within 48 hours. We also have a ‘pick a day’ delivery, and we can deliver to many places on a Saturday or a Sunday! You will notice on a large range of our buildings that there is a postcode checker for you to check when we are next available in your area for delivery. If you are ordering online, simply enter your desired day of delivery in the notes before you ‘check out’. We will always advise you which day you can expect your delivery. Our delivery times are usually between 7am and 7pm – however, the drivers will do their best to call you before they reach you. With delivery dates available 7 days a week, your day off is never our day off so I’m sure you will be able to fit us in your busy schedule. If you are unsure regarding the delivery, don’t hesitate to contact us before you order so we can schedule this on a day best for you. 1. Is the base prepared prior to the install team arriving? 4. Have you received our floor plan to check the direction of bearers? 5. Is there adequate access to the garden without going through the house or garage? 7. Is there anything our install team need to be made aware of when they arrive? Please be aware if the base is not suitable and you wish for the construction to go ahead (if possible), unfortunately we will shall be under no liability in respect of any defect arising from the inaccuracy of the base. If you have any queries regarding your base or this service, please do not hesitate to contact us for more information. 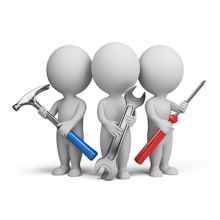 Our installers are a reliable, knowledgeable team who will stay with you until you are happy with your new building.